When you visit Browning Dodge you can find inventory of all the best models. We know folks in Anaheim are worth the best, and we hope you’ll give us the chance to provide you with it. The city of Anaheim is in California’s Orange County and comprises part of the Los Angeles metropolitan statistical area. Anaheim is about 25 miles southeast of downtown Los Angeles. The area gets hot summers and warm winters. Anaheim was incorporated as a city on March 18th, 1876. It was named after the nearby Santa Ana River and the German name for home, “heim.” Early settlers came to Anaheim for grape and wine production. Anaheim is the home of Disneyland Resort, a group of theme parks and hotels that opened in 1955 and one of the world’s most visited tourist attractions. For residents in the Anaheim area, we can help you find the right new or used car to suit your needs right from our website. For daily errands or long road trips, Browning Dodge is sure to have something in stock to meet your goals. Are you searching California for a pre-owned car? 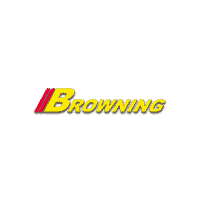 Start your search with Browning Dodge and save yourself time and money. With a wide variety of affordable, high-quality vehicles, we’re sure that we can locate a used car that suits your tastes. Browning Dodge wants to make achieving your goal of an affordable vehicle loan near Anaheim a quick and stress-free experience! Getting your car loan can be easily done using our secure finance application form online. Our friendly staff will review your application as soon as it’s received and get back to you in a timely manner. Anyone living near Anaheim, California can take advantage of our Dodge Chrysler Jeep RAM car repair center, which provides all the service you need to keep your vehicle running in peak condition. If you’re having trouble finding certain parts or accessories, our experienced staff can help you. Set up a service appointment today.